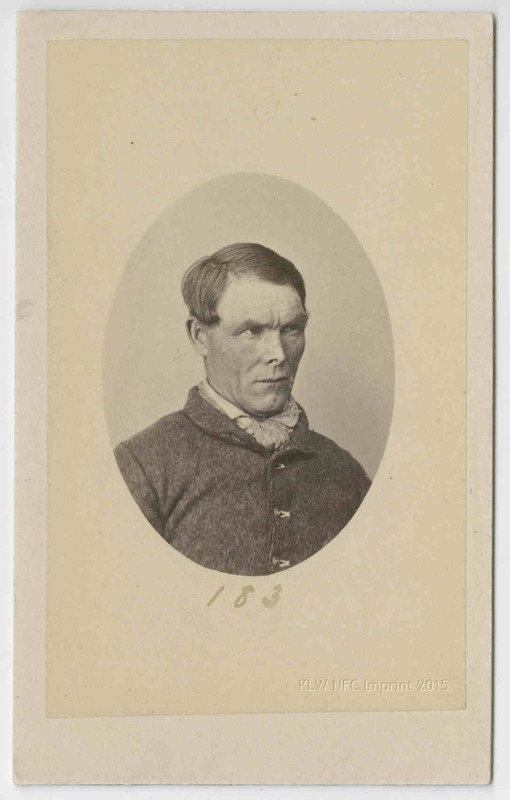 Constable W. John Nevin , younger brother of photographer Thomas J. Nevin, was stationed at the Cascades Gaol for for Males, South Hobart from April 1875 to February 1877. 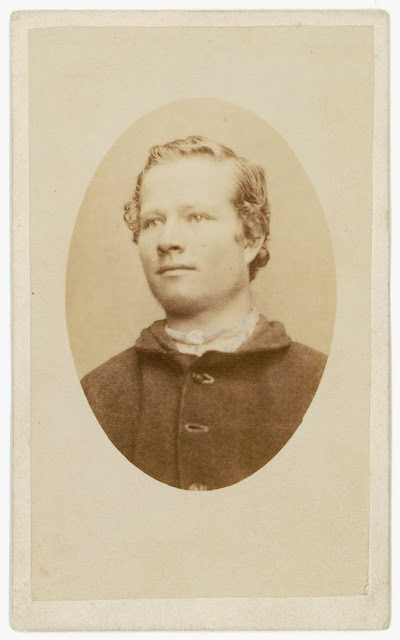 He was then transferred to the Hobart Gaol, Campbell St. and remained in service on salary in administration as gaol messenger and photographer until his death from typhoid fever in 1891, aged 39 yrs. 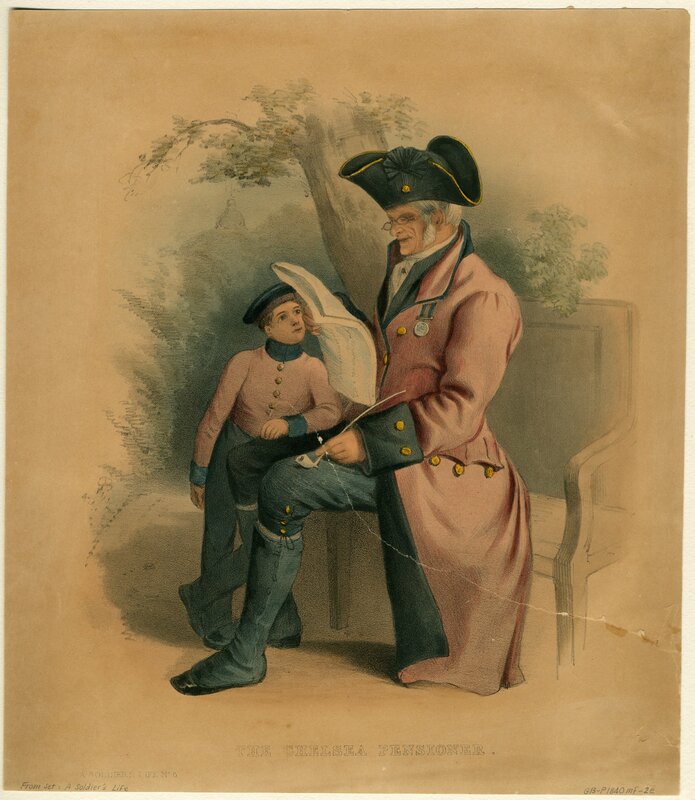 His length of service with H. M. Prisons was sixteen years. 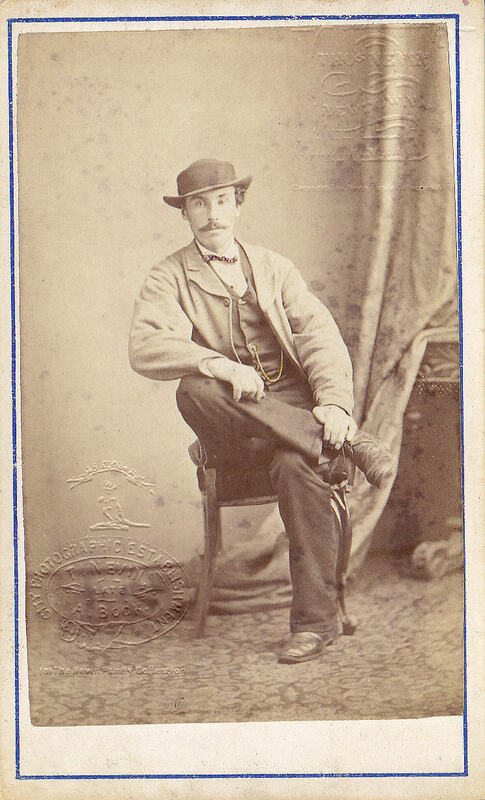 Constable Nevin, Mercury, 27 October 1875. PEACE DISTURBERS. 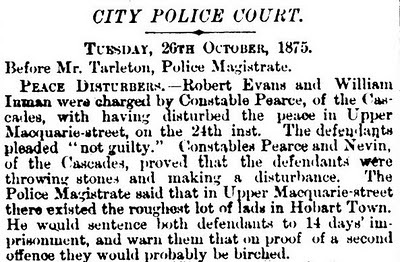 – Robert Evans and William Inman were charged by Constable Pearce, of the Cascades, with having disturbed the peace in Upper Macquarie-street on the 24th inst. The defendants pleaded “not guilty”. Constables Pearce and Nevin, of the Cascades, proved that the defendants were throwing stones and making a disturbance. The Police Magistrate said that in Upper Macquarie-street there existed the roughest of lads in Hobart Town. He would sentence both defendants to 14 days’ imprisonment, and warn them that on proof of a second they would probably be birched. Constable John (W. J.) Nevin ca. 1880. Copyright © KLW NFC & The Nevin Family Collections 2009 ARR. Watermarked. 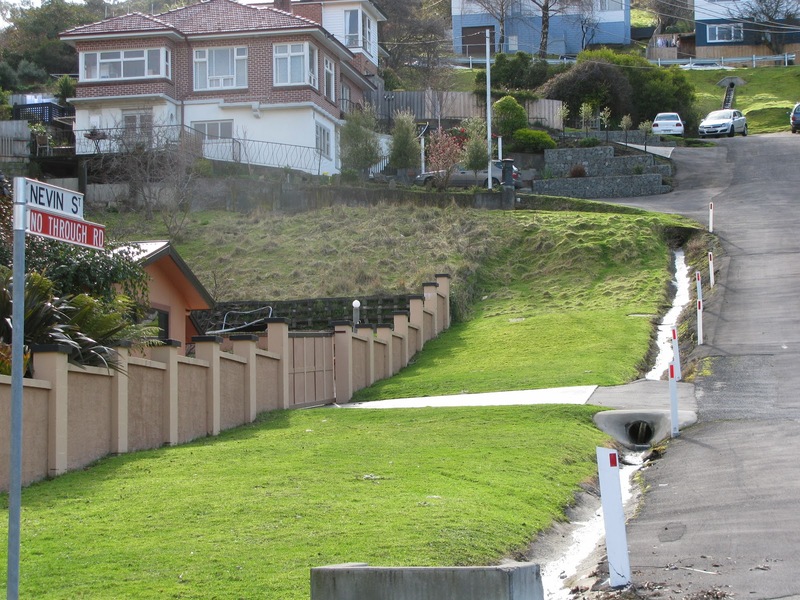 Adjacent to the Cascades Gaol for Males in the 1870s and leading directly up the hill behind it was a wide track, now a “No Through Road” named “Nevin Street”. 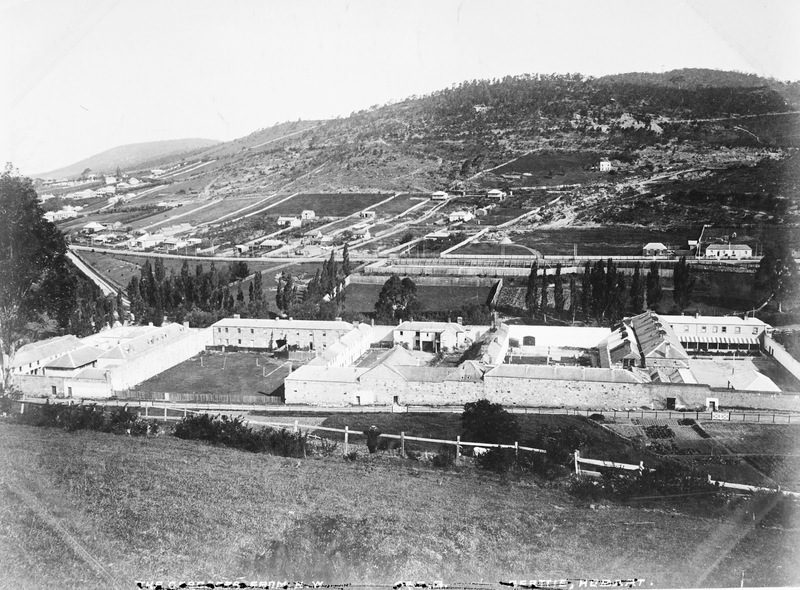 On the left, ascending the hill going northwest, and located at an address now called 2 Nevin Street, was a cemetery associated with the prison from its days as a Female Factory – a prison for females (1850s) – to its last uses as an invalid depot, orphanage, prison and reformatory (1870s onwards). Thereafter, the deceased were moved to the Cornelian Bay Cemetery. Surrounding parcels of land were sold to a milkman by the Government in 1908. 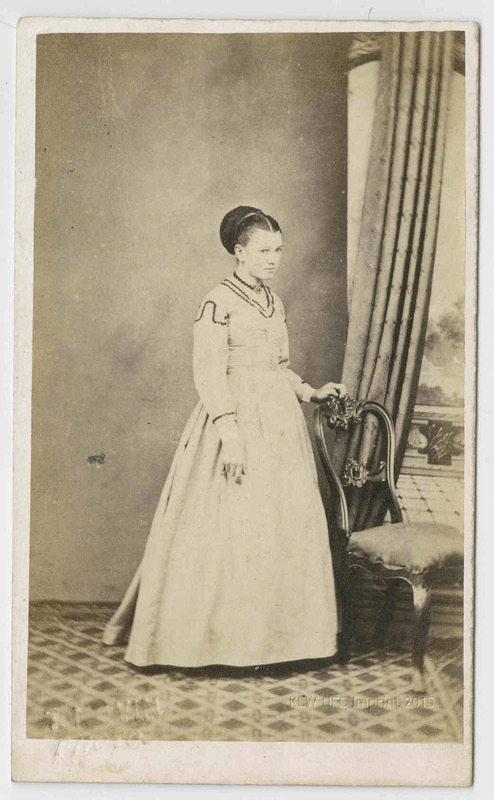 Constable Nevin was on duty at the Cascades on 11th May 1876 when the Government buried Trucanini there, considered in her time as one of the last Tasmanian Aborigines. place in the same spot, and a few graves are marked with neat little crosses erected by the friends orrelations of those buried there’. 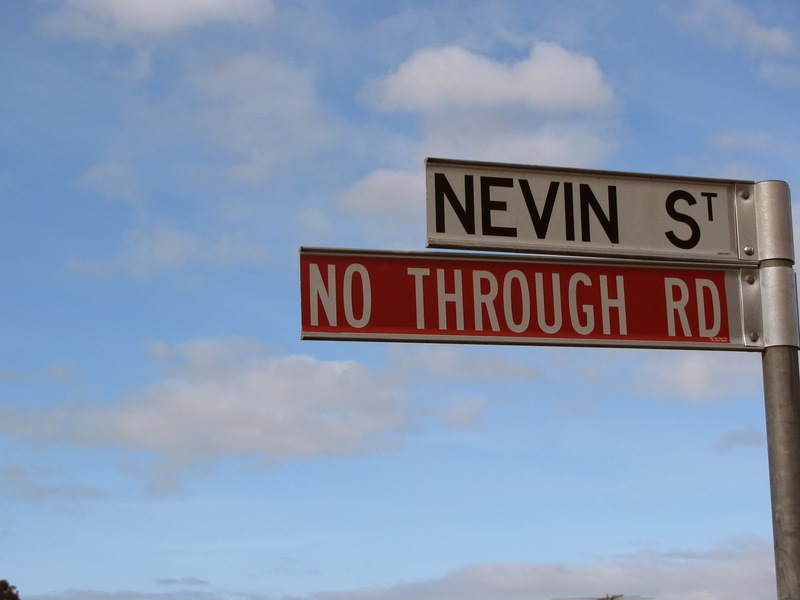 The track or road was formally named Nevin Street at a date yet to be confirmed (at Lands and Titles Office?). The track leading to it was used by walking clubs extensively. 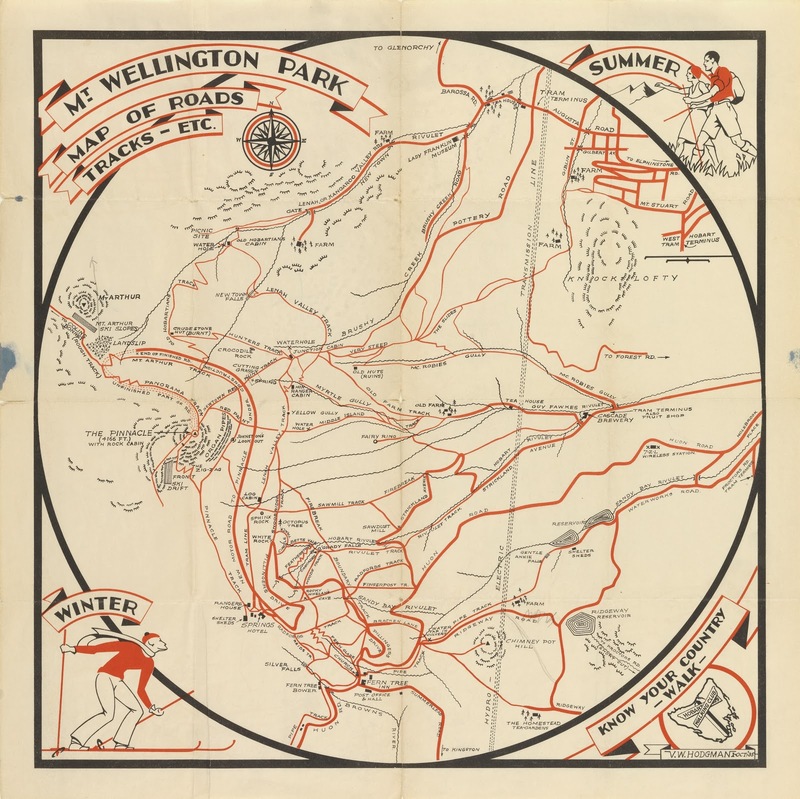 In 1935, this map was issued by the Hobart Walkers’ Club, which shows a road in heavy outline leading up from the prison, leading northwest up McRobies Gully. 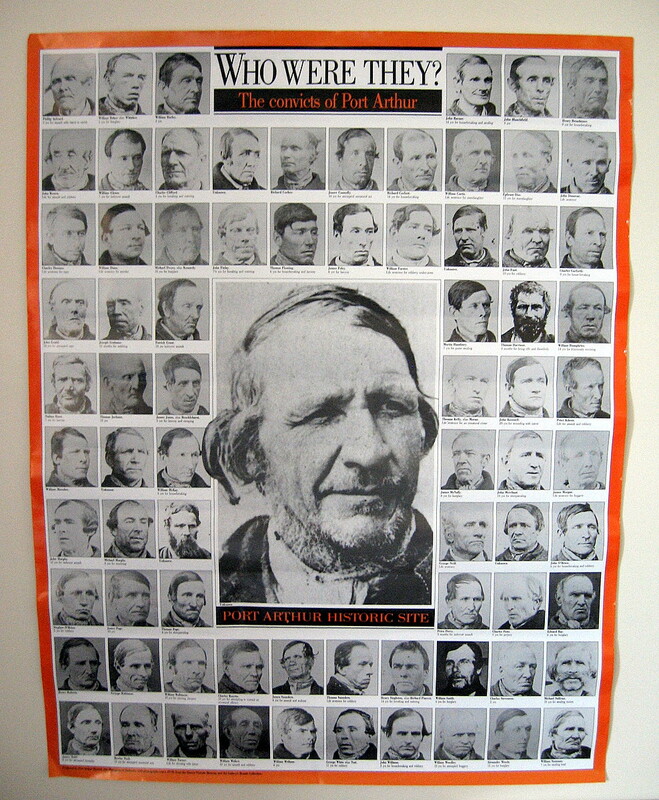 When Constable John Nevin renewed his contract and term of service in 1881 with H. M. Prisons Department, he was still living at home with his parents in the house built by his father on the property at Kangaroo Valley, which was situated on land adjacent to the Franklin Museum and the Wesleyan Chapel and school house where his father John Nevin taught children by day and adult males by night. 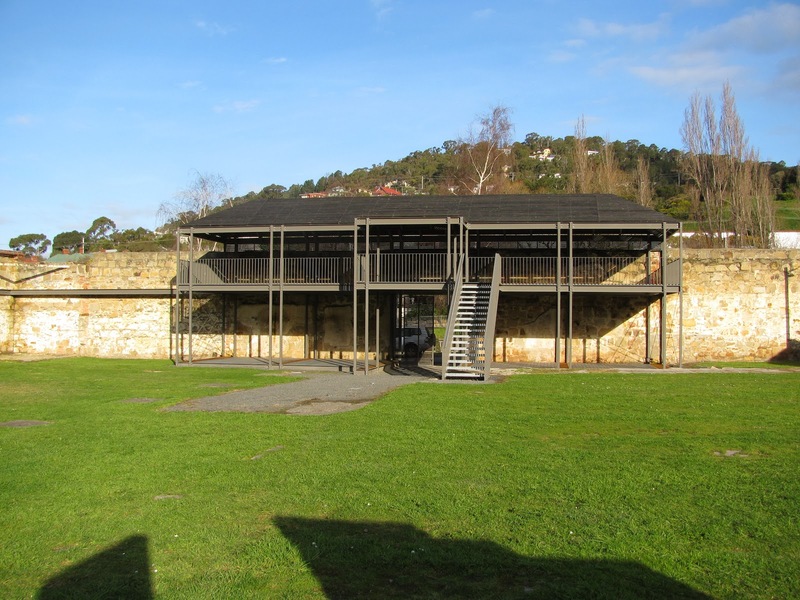 He would have travelled by a different route to the Hobart Gaol in Campbell St, eventually taking up residence there. 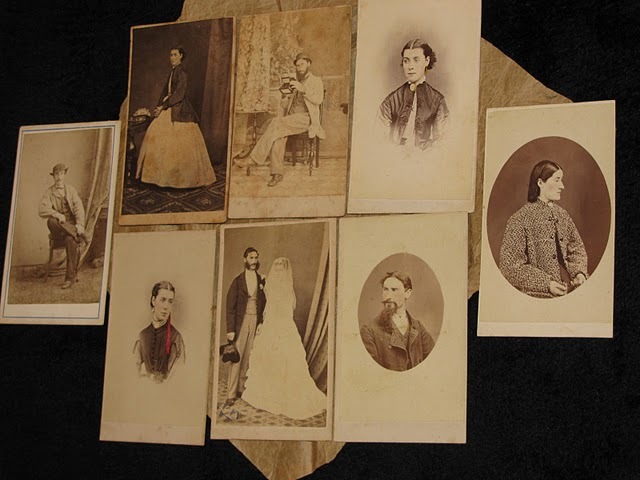 He was active in assisting his brother in photographic sessions both at the Gaol and adjoining Supreme Court. His employment was listed as salaried in administration and resident at the Campbell St Gaol on the electoral roll of 1884, and listed again as “gaol messenger” in residence when he died suddenly of typhoid fever in 1891. Signature of Wm. John Nevin, Kangaroo Valley, 24th November 1881. 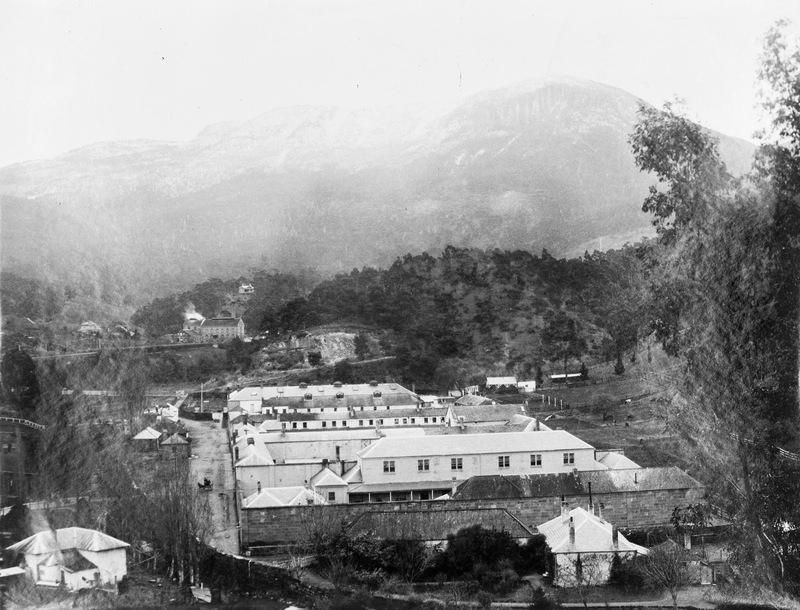 Constable John Nevin’s brother, Thomas Nevin, took many photographs on the tracks leading from Kangaroo Valley across to the waterfall, Brushy Creek, the reservoir waterworks, and Hobart rivulet, mostly produced as commercial stereographs, sometimes attributed to Samuel Clifford, and currently in cold storage at the Tasmanian Museum and Art Gallery. 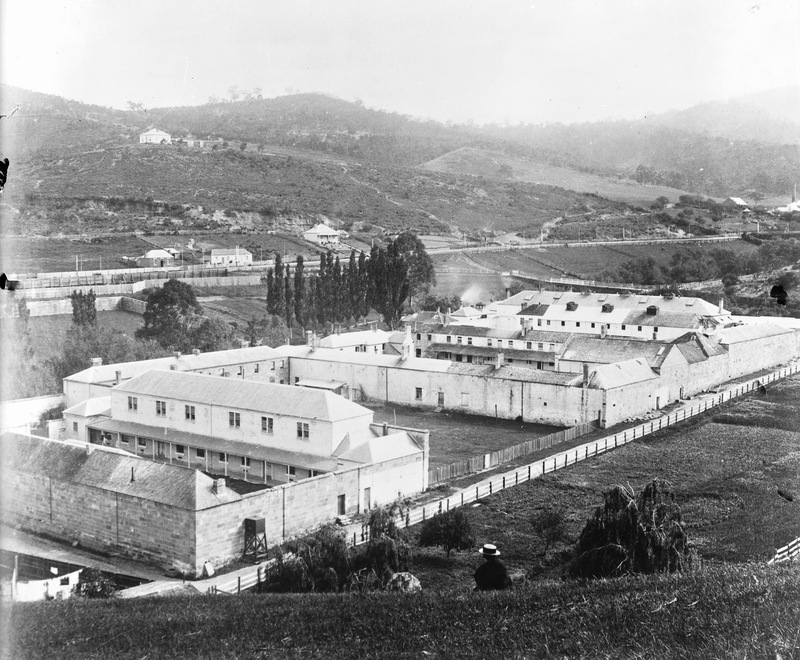 These photographs (below) were taken around the same years as Constable John Nevin’s second attestation, 1881, to service at the Campbell Street Gaol. 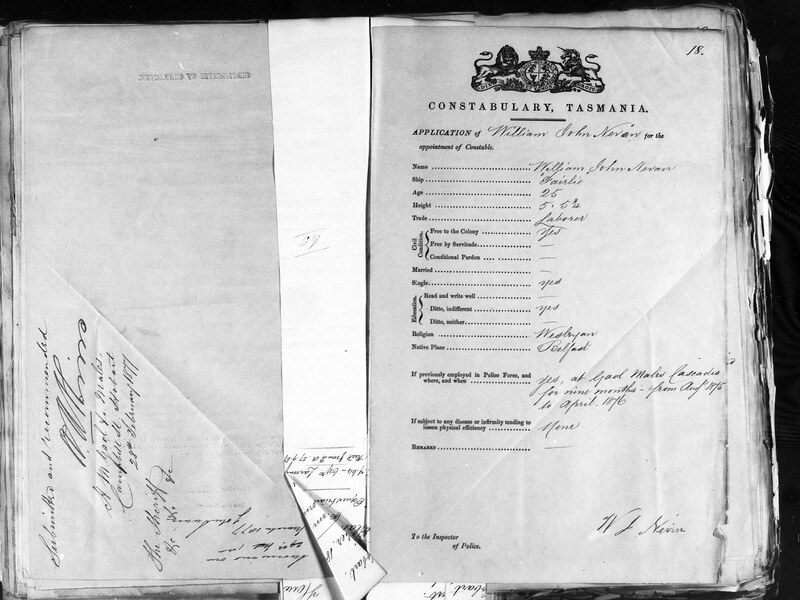 They are from the TAHO State Library of Tasmania, and unattributed. TAHO Ref: NS1013146 . This photo was taken from Nevin St. Beattie print, no date. 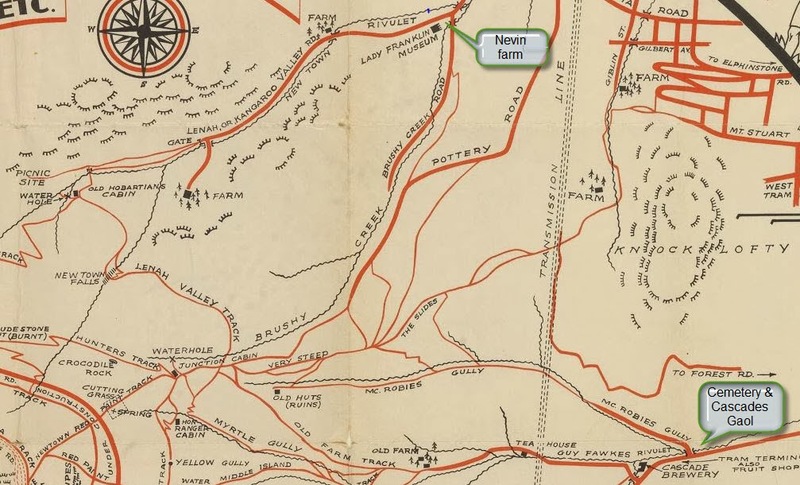 Detail of Hobart Walkers Map 1935 showing relative positions of the Nevin farm next to the Lady Franklin Museum and the two possible routes taken across country by Constable Nevin to the Cascades Gaol for Males in 1875. 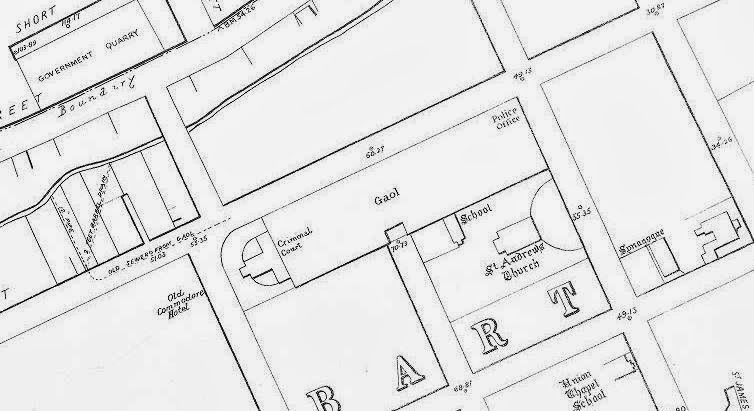 The 1935 Hobart Walkers Club map (detail above) shows two very distinct routes to the southeast which John Nevin might have chosen in the 1870s on his journey from the family farm at Kangaroo Valley, situated next to the Lady Franklin Museum where Thomas and John’s father John Nevin snr had built their cottage. 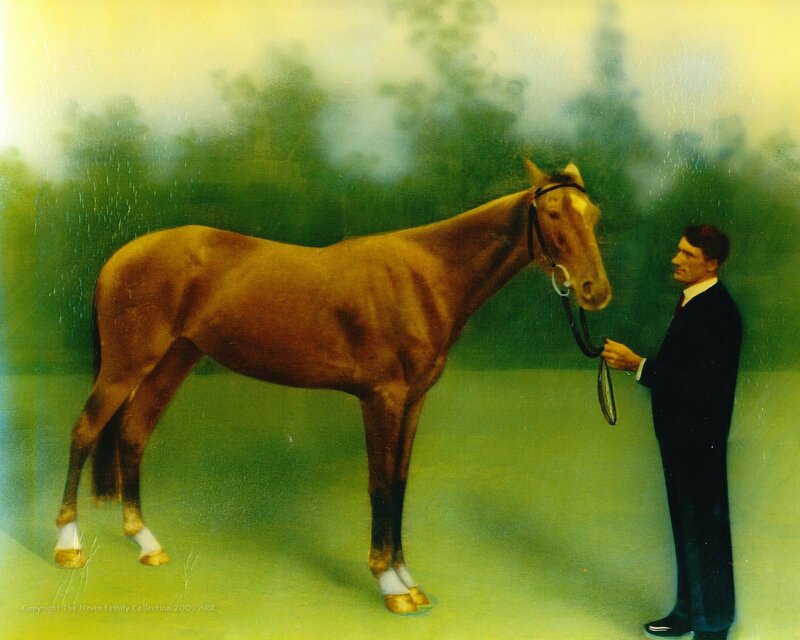 Whether on foot or horseback, the first and longer route he could have taken was along Kangaroo Valley road, alternatively titled Lenah Valley Road by 1922, to the waterhole and the cabin named by the Old Hobartians (alumni of Hobart High School) as their own by 1935. He would then veer south on the path to the New Town Falls, crossing Brushy Creek until arriving at the edge of a very steep ravine . 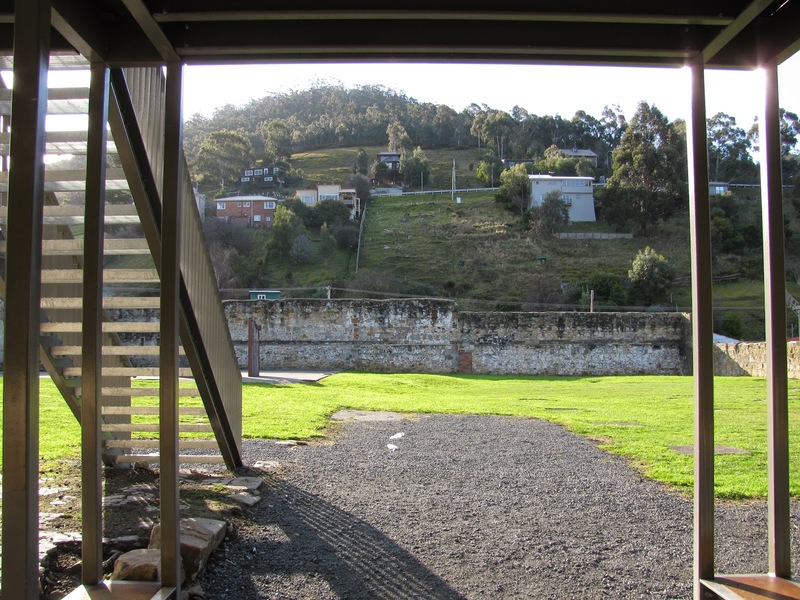 Once there, he would join the McRobies track until arriving at the Hobart Rivulet, passing below the Cascades Brewery. The track, much wider at that point, passed by the cemetery, and ended directly opposite the Cascades Prison. Alternatively, he could have proceeded from the Museum along Brushy creek road a short way, then crossed onto a track which joined Pottery Road running bedside the creek, and joining another track until he reached the Slides. 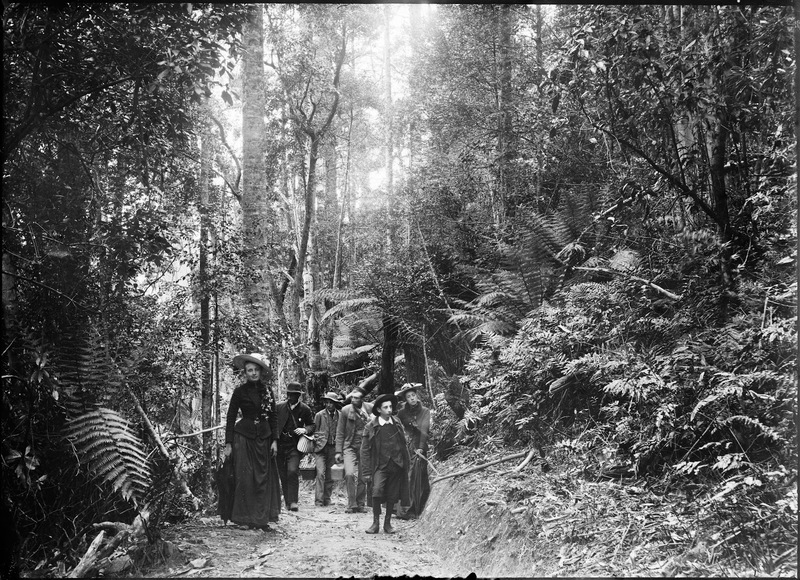 Descending a steep hill side on another short track adjacent to another creek led him onto the McRobies gully track which widened into a roadway, ending adjacent to the wall of the Cascades Gaol. 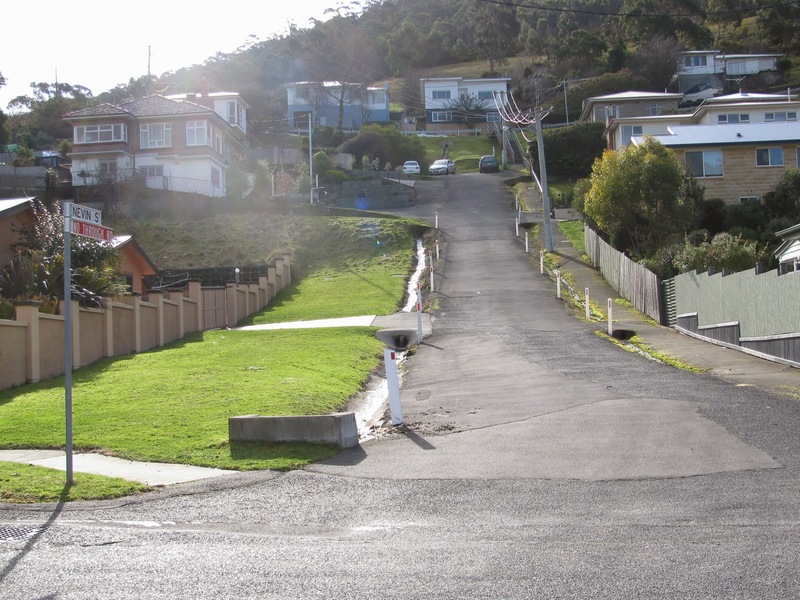 It therefore seems likely that the present Nevin Street was originally the track leading up McRobies Gully and the path Constable John Nevin used when coming and going to and from work at the Cascades Prison for Males from August 1875 to February 1877. Whether the street was named after Constable John Nevin’s family is yet to be determined. Hobart fine arts dealer William Nevin Hurst maintains a connection to both the family of photographer Thomas Nevin and to the naming of Nevin St, The former claim is possible, given the friendship between Thomas Nevin and John Hurst (whose son’s birth registration in 1868 was completed by Nevin as informant), and the witnessing by his mother Eliza Hurst at the marriage registration of Thomas’ sister Mary Ann Nevin to John Carr. 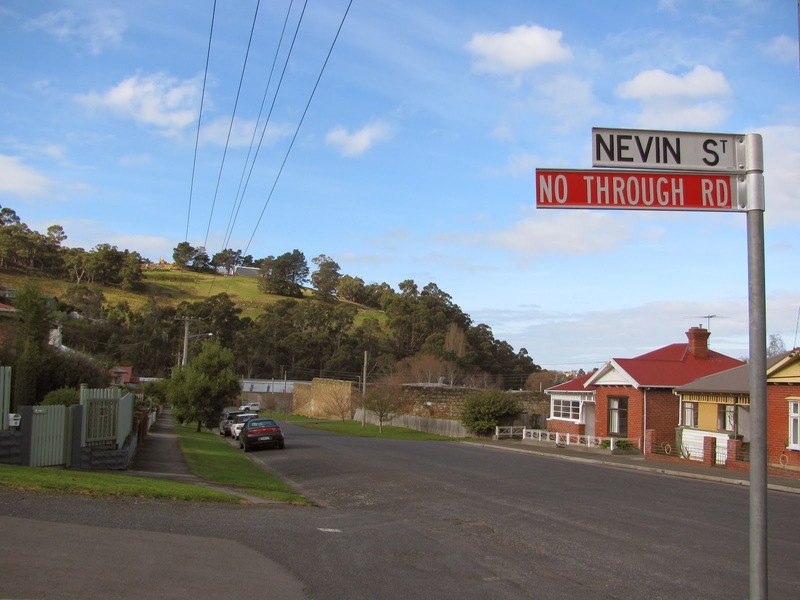 The latter claim about the naming of Nevin St. is unconfirmed. No Through Road. Looking up Nevin St. The vacant block on left in bottom left photo is the site of the cemetery at 2 Nevin St.